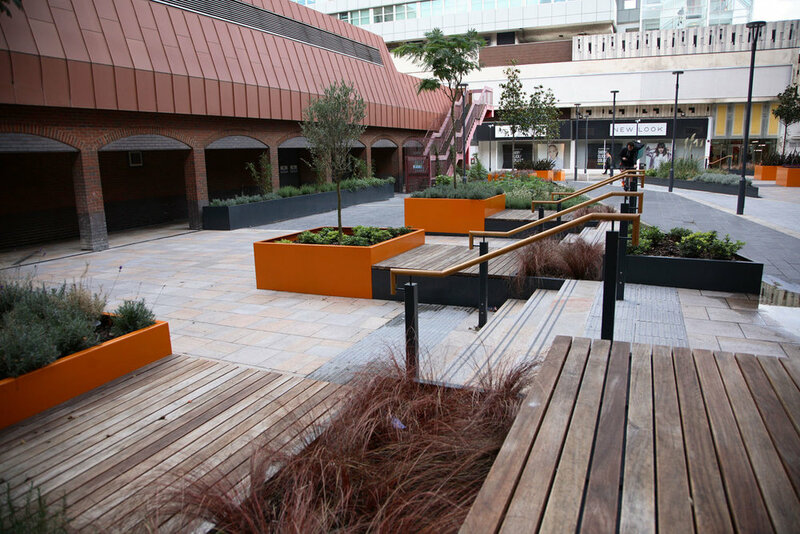 Queens Walk is a student accommodation facility in Reading, UK. It is located in the centre of Reading within a short walk from the University of West London and a 15 minute bus journey from the University of Reading’s Whitenights Campus. Barton Willmore was commissioned to produce design proposals for an existing courtyard space as part of wider refurbishment works to Yell House. 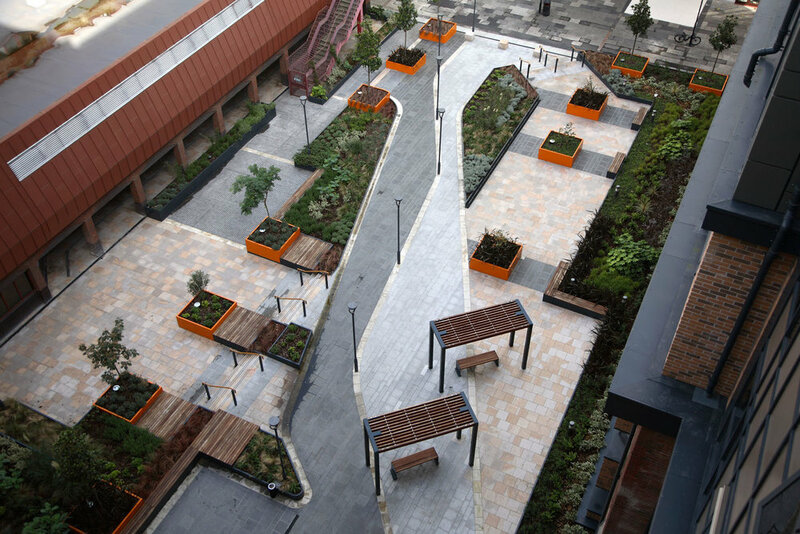 The resulting landscape design incorporates a dramatic mix of both hard and soft landscape treatments which enhance the public environment for students, hotel residents and visitors and create a vibrant and memorable outdoor space. 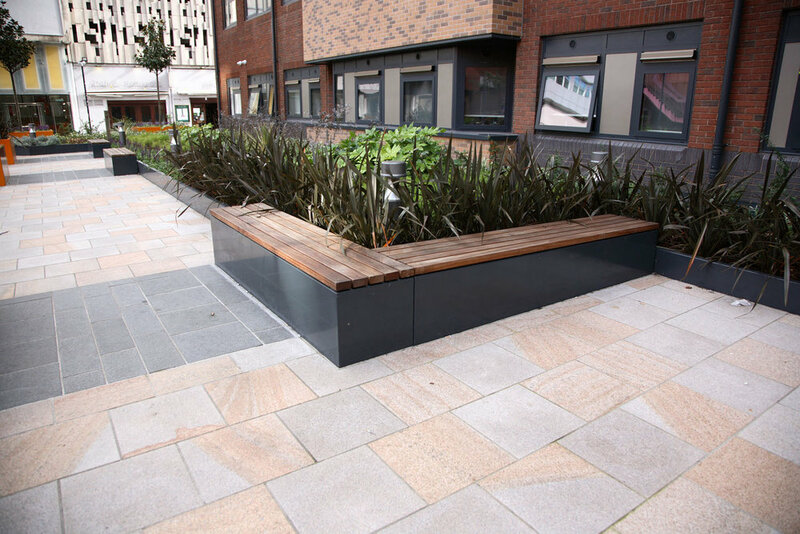 To meet their design objectives Barton Willmore chose Omos to supply the raised planters, bench seating and architectural canopies. Following their design intent Omos produced detailed 3D CAD models of all to ensure that the design objectives, functional criteria and manufacturing practicalities were all considered and satisfied prior to manufacture. 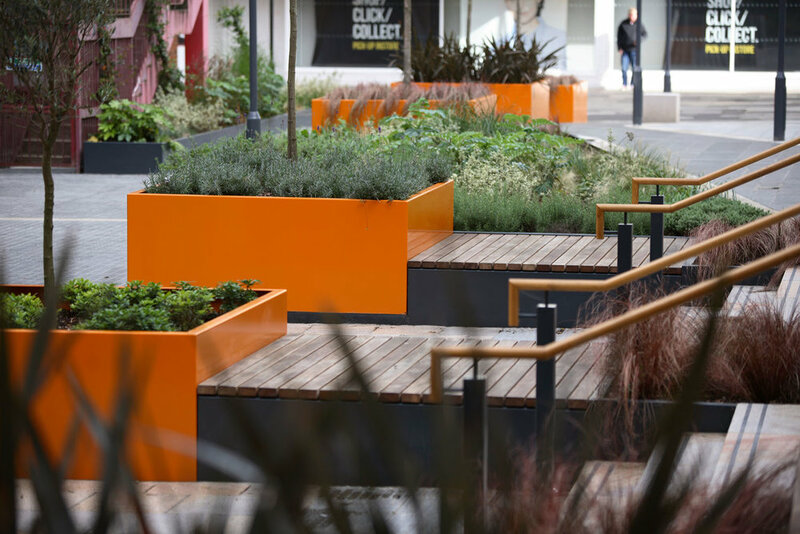 The s21 planter was chosen as it allows for total flexibility in design and layout from large square tree planters to vast low shrub planters. These were combined with bench seating in a similar style with untreated hardwood surfaces. 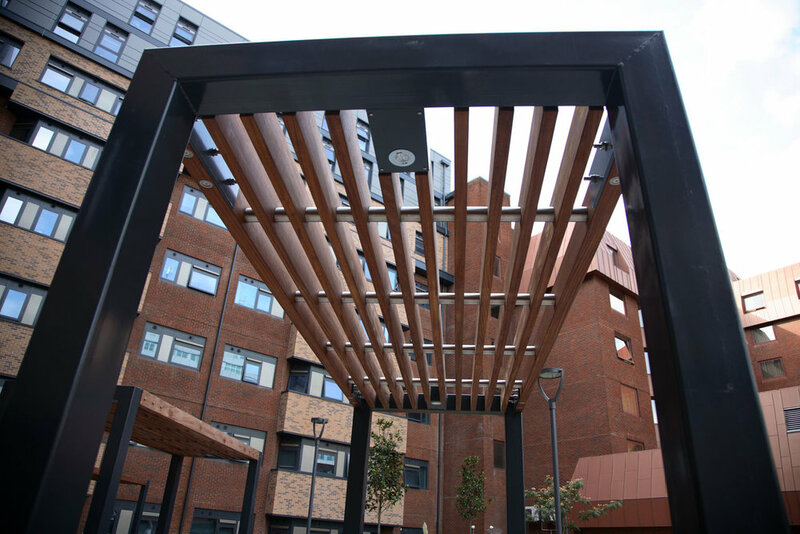 Omos also developed bespoke canopies and benches which are positioned around the entrance to the building. Omos worked closely with Barton Willmore and the main contractor Osborne to ensure a smooth and timely delivery of the project.